Given the mysterious, some might even say spooky, nature of spiders, it's no wonder a number of superstitions have developed around them over the years. Despite the preponderance of real science available on the wily arachnids, their dark, quiet subculture just naturally lends itself to unnatural phobias and beliefs, going back centuries and continuing to this day. 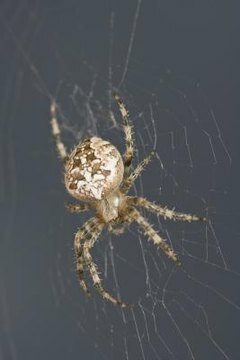 According to Spiderzrule, the spider has been associated with both good and bad luck dating back as far as 1507. Although most of us would cringe at the thought of finding a spider crawling on our clothes, early superstition proposes that an eight-legged squatter is a sign that you have a good day ahead of you. Conversely, a black spider spotted in your home is thought by some to be a certain sign of death. As scream-inducing as they are, spiders have long been associated with money and good fortune. If you spot a spider hard at work spinning its web, your own hard work is about to pay off with a great increase in income. Even better, if a spider crawls into your pocket, you are financially set for life. Pay attention, that eight-legged little crawler may be trying to tell you something. If a spider dangles above you, watch for an important letter. If it browses through your sock drawer or closet, you'll be receiving new clothing. If you see a spider run quickly down its web, start packing for a trip, and if it scampers down your wall, your most cherished dream is about to come true. Spider superstitions vary among cultures. In Russia, a spider at the dinner table means a new enemy is afoot, and the person who crushes a spider is pardoned from 40 sins. In Turkey, a spider in your home means guests are coming, and to kill a spider at night is a sin. If you're ever in New Orleans, spiders must only be killed in the morning, for spiders in the afternoon are a sign of joy, and in the evening, hope.